Indonesian Tape ( Rice wine ) is an alcoholic beverage made from fermented freshly steamed glutinous rice with yeast and spring water. Unlike European wine, which is made by fermentation of naturally sweet grapes and other fruit, rice wine is made from the fermentation of sweet rice starch converted to sugars. This process is similar to that used to produce beer. However, beer production employs a mashing process to convert starch to sugars, whereas sweet rice wine uses the amylolytic process. 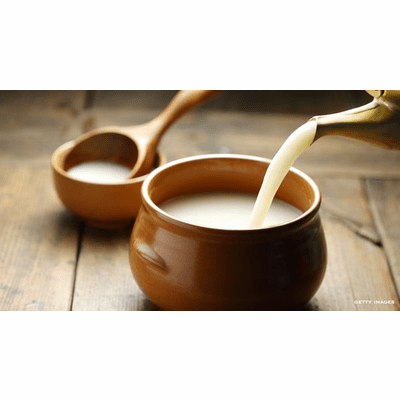 Rice Wine is relatively low in alcohol and can be drunk neat or used in hot dishes, marinades, and glazes. Rice wine typically has a higher alcohol content, 18 – 25 percent ABV, than grape wine (9 – 16%), which in turn has a higher alcohol content than beer (usually 4 - 6%). Our Tape Rice Wine Yeast Starter is of the highest quality and represents the original taste of Tape rice wine.